2016 has been… worthy of many different adjectives, I’d say. It’s been a humdinger of a year for the world between political upheaval, celebrity deaths and various other plot twists. 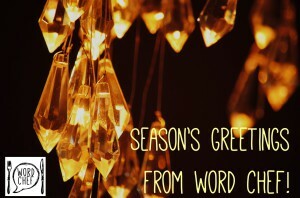 Personally, it’s been a challenging year, but one that’s yielded many lessons and opportunities nonetheless. As I prepare to leave for a holiday to celebrate my 10th wedding anniversary with my long-suffering husband, I’m quite ready to say cheers to 2016, but I guess I do have to say thank you too. The opportunity to compile the narrative for this-here-little-book, Glory Game: The Joost van der Westhuizen Story. This was one of the most rewarding projects I have worked on to date. 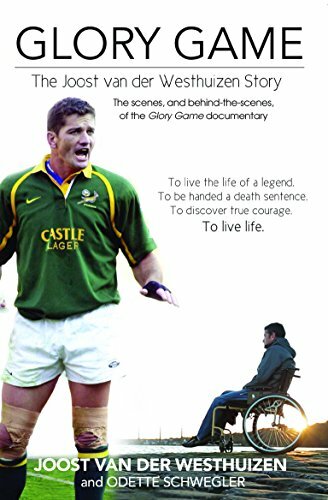 Learning about motor neuron disease was interesting, but learning how Joost van der Westhuizen and those close to him have dealt with this debilitating condition with grace and humour has been inspiring. The hard copy books hit shelves this weekend, so please do look out for them. Teaching me that no risk = no reward. I owe a great debt of gratitude to Rebecca L Weber and her Freelance Writer Bootcamp for teaching me to reach beyond my Imposter Syndrome and take a chance on pitching stories to publications I want to write for. Taking the risk has resulted in being able to write a story I’ve wanted to tell for two years now in two different ways for two publications I have always wanted to write for. I’m hoping 2017 brings more of the same. Reminding me what’s truly important. This year has shown me the value of true friendship and love time after time. Whether it was through a dear friend suffering great tragedy in her family or dealing with what felt like massive stumbling blocks in my own relationships, 2016 has been a stark and sometimes painful reminder that when life gets tough, money, success and “stuff” doesn’t mean much. What counts is faith, friendship and family. Occasionally giving me the boot up the rear end that I needed. I’ve been accepted into the GIBS / Bloomberg Financial Journalism Programme for next year. I am utterly terrified, but hugely chuffed. I would never have applied if it wasn’t for a push from my dear friends at Crazy Grape Media. Introducing me to new people, ideas and experiences. 2016 has sometimes overwhelmed me and sometimes made me question humanity, but it has also showed me that there is ALWAYS room to learn and grow, and that it’s worth stopping to listen to other people’s opinions (even when they are diametrically opposed to mine). They just may have a valid point. I have learned (although I still forget sometimes) not to shut myself off to unlikely possibilities. I have met a business partner in a sewing lesson and discovered that having someone you love betray you can open up a path for a more honest, deeper relationship in future. I have learnt that professional relationships can develop into lifelong friendships, competitors can become collaborators and that Twitter is a great freelance job market. I have been challenged to take on jobs that push me to learn new skills and forced to admit that, sometimes, the best thing I can do is come clean that I am clueless and find a partner that has skills that fill my own gaps. Leaving me alive and kicking. I won’t lie – 2016 was not my favourite year. But here I am, alive and ready to take on 2017. And not just alive, but ready to make next year a better year. Or at least to try. Because at the end of the day (or, in this case, the year), the best we can all do is to look back, see what we can learn and try to do better the next time round. Wishing you and your loved ones a beautiful, blessed Christmas if you celebrate it, and a wonderful holiday period making memories with the people who are important to you. May 2017 be good to you. Please note that Word Chef will be closed from 15 December 2016 to 9 January 2017.